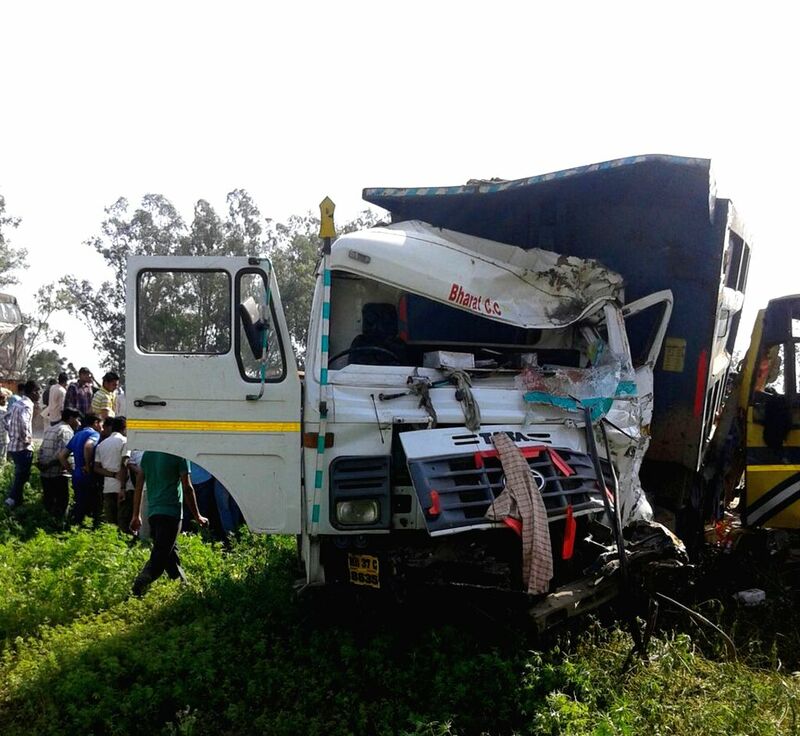 Ambala: The mangled remains of a truck that met with an accident near Saha-Shahzadpur road in Ambala district of Haryana, on March 31, 2015. Five lecturers and two students of a private engineering college were killed in the accident. 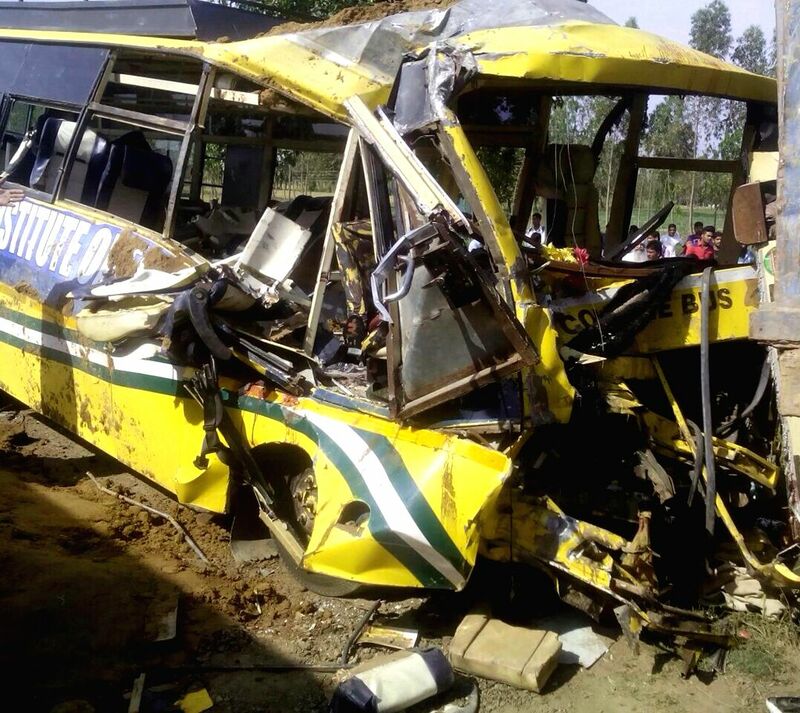 The mangled remains of a college bus that met with an accident near Saha-Shahzadpur road in Ambala district of Haryana, on March 31, 2015.